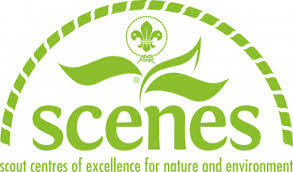 SCENES is a World Organization of the Scout Movement (WOSM) initiative. There are currently 26 SCENES centres worldwide, in such diverse places at Costa Rica, Africa and the Swiss alps! As a member of the Worldwide Network, Canada has played a role in the shaping of SCENES policies and in helping camps in other countries achieve accreditation. Canada has participated, and will continue to participate, in conferences where member countries of the Network share best practices and shape the future of camp environmental programming and management. To read the Scenes charter and to learn about other SCENES centres, visit the SCENES web site. Scouts Canada adopted the SCENES Charter in 2005 and currently has Four SCENES centres, Blue Springs Scout Reserve in Central Escarpment Council, Camp Nemo in Battlefields Council, Attawandaron Scout Reserve in Tri-Shored Council, and Haliburton Scout Reserve in Greater Toronto Council. More camps are on track to become SCENES accredited centres. This shows Scouts Canada’s commitment to protecting the environment and promoting environmental understanding. We are leading by example. Action for Nature and the Environment. Accredited in 2008, Camp Nemo is the second Canadian SCENES centre and home to the Hencher Interpretive Centre for Outdoor Program (HICOP), a combination of nature, visitor and program centre.